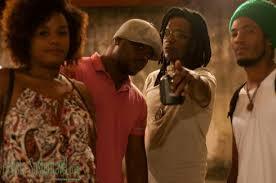 Much like the afoxés, neighborhood art collectives that make up a network of slam poetry groups and movements throughout Salvador, engage residents, primarily youth, to promote socio-cultural awareness, critical thinking and reflective discussion, civic activism, and pride in African heritage through art and poetry heavily influenced by hip-hop culture and pan-africanism. Collectives commonly host a sarau (slam poetry event) as a way to make literature dynamic and accessible to the public at no cost, and as a means of building consciousness and contributing to conversations on race, gender, socio-economic status, health care, quality education, and overall better living conditions. Organizations like Coletivo Boca Quente, Arte Marginal Salvador, Sarau do Gheto, and Sarau da Onça, for example, are part of a movement that provides cultural spaces previously unavailable to the community.